What are the Benefits of Invisalign Clear Aligners? Unfortunately, not everyone is born with a perfect set of teeth. There are people with crooked teeth and others may have misaligned teeth, or teeth with excessive gaps. Braces have been the traditionally popular method of straightening and aligning teeth. Braces, however, are yielding to the new alternative - Invisalign ™ clear aligners. This is because, in comparison to the metallic braces, Invisalign clear aligners offer several advantages. Braces simply don’t look good. Metallic, clunky and obvious, they can hinder a beautiful smile. They can be uncomfortable when the brackets can rub against the inside of your mouth causing abrasions or small cuts. The treatment time can be up to three years in extreme cases. Braces can make it difficult to clean your teeth to reach certain areas and thus, oral your health may suffer. What is Invisalign clear aligners? Invisalign™ clear aligners is a superior orthodontic alternative to braces. It is a product of modern dental technology, software engineering, and CAD/CAM operations. It is designed to overcome all the major disadvantages associated with metallic braces. Invisalign clear aligners treatment consists of wearing several custom-made shells somewhat like teeth guards, worn one after the other, for about two weeks each. The shells are made of medical grade transparent plastic. By the time the last shell is worn and removed, the teeth have will move into new positions as planned by your dentist. An obvious, unattractive appearance is a major problem with braces. The archwire and the brackets along with other minor components make the wearer look quite conspicuous. Invisalign clear aligners shells worn are made of a transparent plastic with no wires or rackets. Thus, they are virtually invisible when you wear them at a party or a conference. Before starting your treatment, your dentist will use a special software to show you how your teeth will look after your treatment will be completed. In this way, you can actively take part in your treatment process, in tandem with your dentist. Your input helps your dentist determine the best outcome for your teeth which make it a collaborative treatment. Braces make cleaning of teeth more difficult. Cleaning behind and around the wires is not easy. Invisalign clear aligners are designed to be removed and put on by the patient without the help of the dentist. The aligners can be removed and then put on again. And so with their quick removal, you can clean your teeth completely and easily for total dental health care. One of the biggest problems associated with metallic braces was the difficulty to eat hard or sticky foods. This problem has been eliminated with Invisalign clear aligners. In addition, being quite comfortable to wear, Invisalign removable aligners allow you to eat all your favorite foods without any problem. Simply remove your removable aligners before eating and enjoy any food item you like. 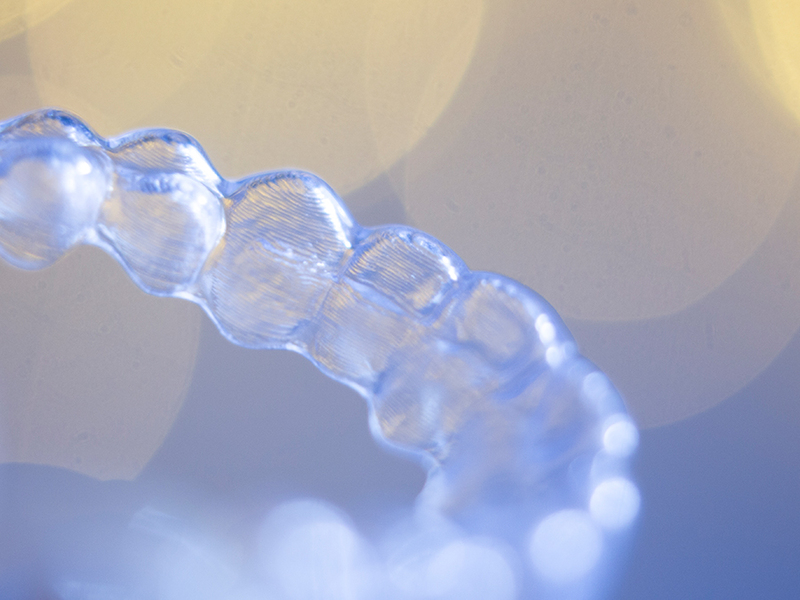 According to a research published in the Biomed Central Journal, individuals undergoing treatment with Invisalign clear aligners were much more satisfied with their treatment than the ones who wore braces. They were also found to have better gum health than individuals who were treated with metallic braces. These, combined with the aesthetic nature of the Invisalign aligners, have made them popular among patients and dentists as the preferred method for correcting mild to moderate cases of tooth crowding or misalignment. So, what are you waiting for? Call today and get a beautiful and lasting smile with Invisalign! Please call us today or book an appointment online for any questions or concerns. Azaripour A, Weusmann J, Mahmoodi B, et al. Braces versus Invisalign®: gingival parameters and patients’ satisfaction during treatment: a cross-sectional study. BMC Oral Health. 2015;15:69. doi:10.1186/s12903-015-0060-4.